Disclosure: As part of Madame Alexander's Mom Advisory Board I received a doll for review purposes. All opinions expressed are my own. We've fully entered doll obsession in our household and while I was at Toy Fair 2014 I had the pleasure of meeting with Madame Alexander, a heritage doll company that I had heard so much about over the years - I was surprised to learn there was even a doll factory in my old neighborhood in Harlem many years ago! I had inherited a collectible doll growing up that I was terrified of breaking and had the same perception of Madame Alexander, but was pleasantly surprised to learn about their everyday play dolls. 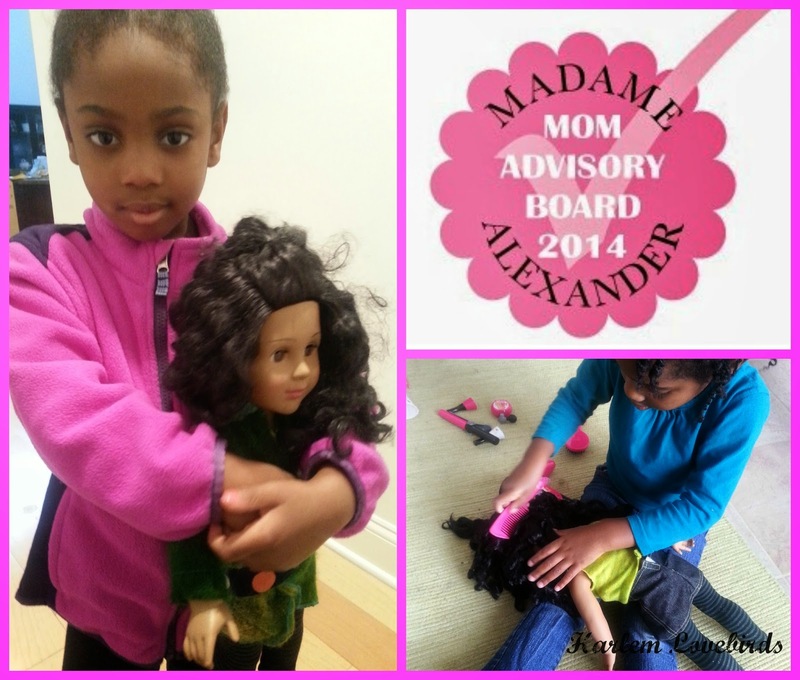 As part of their Mom Advisory Board I'll be reviewing dolls throughout the year and sharing other Madame Alexander news with you. 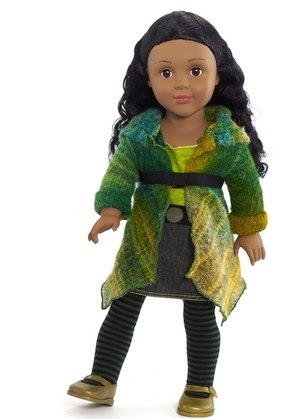 To kick-off this partnership I selected the Favorite Friend Autumn Mist 18" doll for my Lil Lovebird. At 18" this is the tallest doll that Nia's had and also the first that's not dressed in baby clothes. Nia picked up on this immediately and wouldn't allow me to call her a baby doll. Instead she named her "Tessa" and declared her her sister. I love seeing how Nia plays with Tessa. It's very important to dress and re-dress her and while I can't share a picture of it here, part of her bedtime ritual includes making sure all of Tessa shares Nia's non choice of clothing. Appearance - the doll is dressed modestly, yet stylish; too often many doll choices are a bit too grown up for little girls. Nia and I are pleased to have Madame Alexander as part of her doll collection and with care I look forward to Nia having many years of play with "Tessa!" To purchase your own Favorite Friends doll (retails for $59.95) visit Madame Alexander's website to see the full selection. Did you have collectible dolls growing up? Please share your memories below!